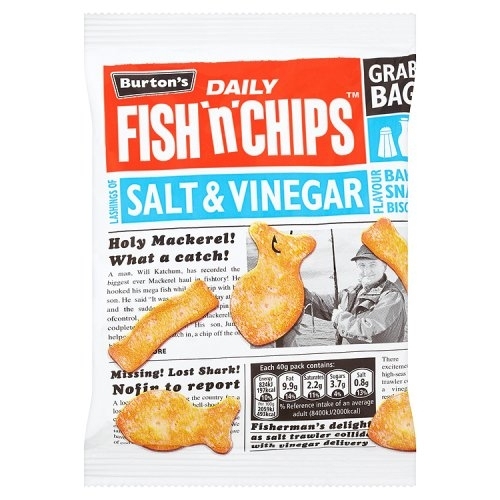 Iconic salt & vinegar flavour snacks. Classic 80s nostalgia in a bag! The salt and vinegar snacks are simplistic crunchy fish and chip - shaped biscuits, so popular, it has been brought back to our shelves after a decade. 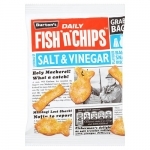 Great for a lunch-time treat or simply a snack, we recommend you get your skates on and order a pack for your family, on before they're all sole'd.